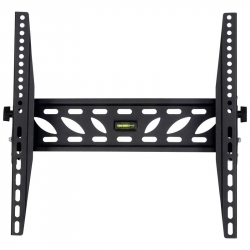 Fits most 37' - 70' flat panel TVs. Mounting hardware included. Maximum load capacity 77lbs / 35kg. Measures 26-3/16' x 16-5/8'. Gift boxed. 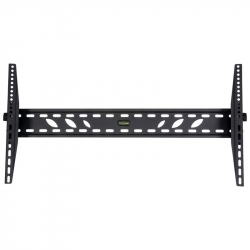 Fits most 37' - 70' flat panel TVs. Tilts approximately 15 (deg), swivels 180 (deg), extends 10', and includes mounting hardware. Features built-in level and anti-theft lockable bar (padlock not included). Maximum load capacity 88lbs. Measures 31' x 17-3/8'. Gift boxed. 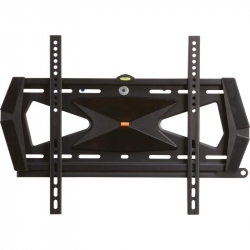 Fits most 32' - 55' flat panel TVs. Includes mounting hardware. Features built-in level and anti-theft lockable bar (padlock not included). Maximum load capacity 88lbs. Measures 24' x 17-3/8'. Gift boxed. 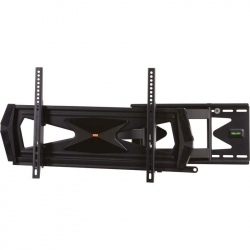 Fits most 32' - 55' flat panel TVs. Mounting hardware included. Maximum load capacity 77lbs / 35kg. Measures 16-5/18' x 18-5/16'. Gift boxed. 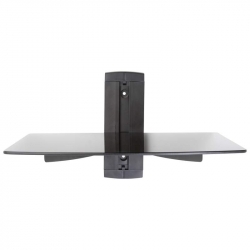 Universal, adjustable black tempered glass shelf perfect for holding your DVD player or other electronics. Includes mounting hardware. Maximum load capacity 17.5lbs. Measures 15' x 8-3/4' x 11'. Gift boxed. 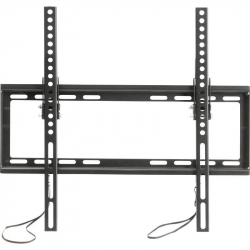 Fits most 37' - 70' flat panel TVs. Features built-in level and mounting hardware. Maximum load capacity 110lbs. Measures 33-1/2' x 16-7/8' x 2-3/4'. Gift boxed. 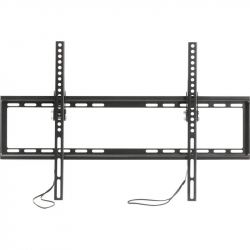 Fits most 32' - 55' flat panel TVs. Features built-in level and mounting hardware. Maximum load capacity 110lbs. Measures 17-7/8' x 16-7/8' x 2-3/4'. Gift boxed.